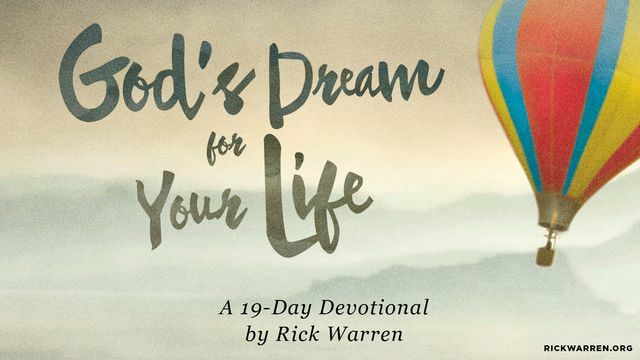 Is This Concept Biblical, "God Has A Dream For Your Life"? Reader if God does not sleep nor slumber then how does He Dream? I'm just asking! I tried to tell a friend to stay away from stuff like this and she said that she didn't see anything wrong with it. I told her that it sounded a lot like new age teaching but to no avail. So many Christian Leaders have adopted the concept of God’s Dream, it has become a popularly accepted “Christian” term and is now virtually indistinguishable from its New Age origins." Anyhow some online Christians are pointing fingers at Christian Leaders like Rick Warren, (the late) Robert Schuller, Brian McLaren, Joel Osteen, Bruce Wilkinson, Leonard Sweet, and many other Christian figures. The overlap factor is very apparent it is so sad to see so many Christians deceived, looking to these big name "pastors" for guidance.